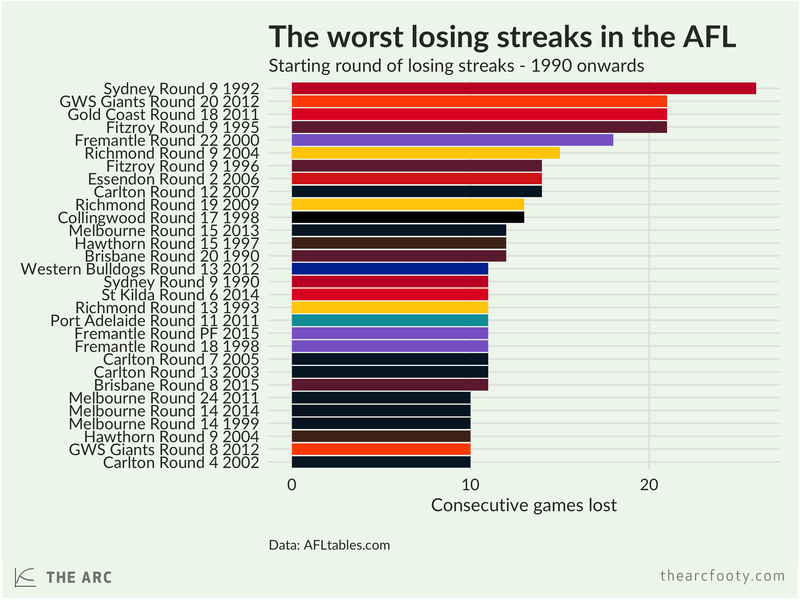 What is the worst losing streak in AFL history? The late, rarely-lamented VFL team University managed to lose a staggering 51 games in a row between Round 4 1912 and Round 18 1914. That’s a spectacular record of ineptitude that’s highly unlikely to ever be broken in today’s equalised, egalitarian competition. The worst runs of consecutive losses we’ve seen in recent years are those of the Gold Coast (from Round 18 2011) and GWS (from Round 20 2012), in which each team lost 21 games straight, less than half University’s dismal total. During those 51 games, University’s losing margins added up to 2130 points, a mark which the 1897 Saints managed to exceed. Their cumulative losing margin was 2599 points over the 48 games they lost between the start of the 1897 season and Round 17, 1899. The worst losing streak of the AFL era belongs to the Swans, who managed to notch up 26 losses in a row from Round 9 1992 to Round 12 1993. 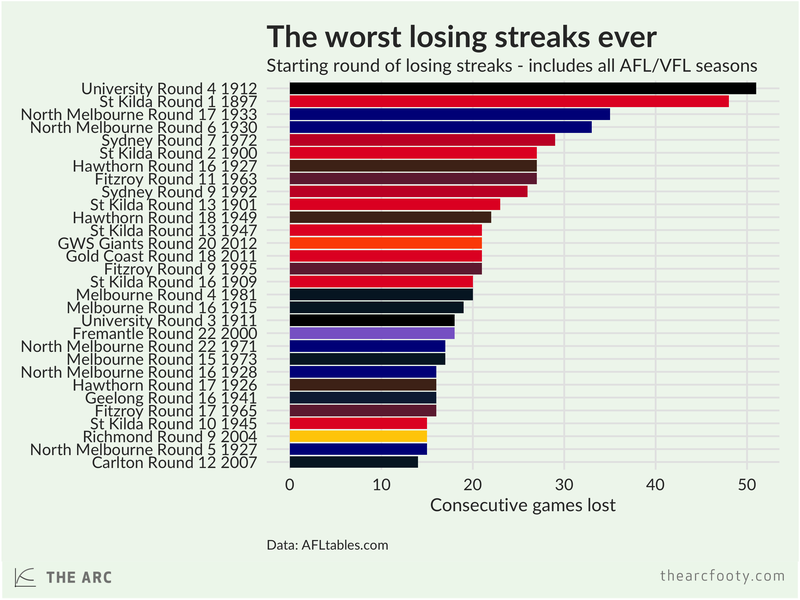 The current-day Dockers have joined the leaderboard, with their 11 losses (starting from last year’s Preliminary Final) the equal fifteenth worst of the AFL era.